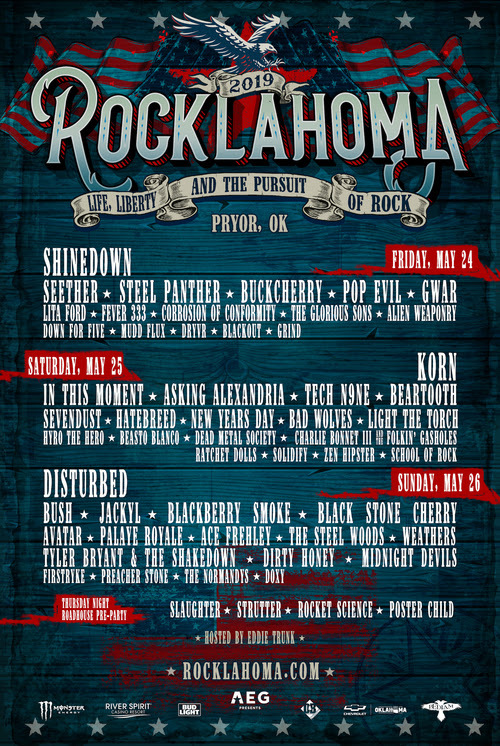 Rocklahoma has announced that Korn will replace Ozzy Osbourne as the Saturday, May 25 festivalheadliner, following last week’s news that Osbourne had to postpone all of his 2019 tour dates. Korn has sold nearly 40 million albums, collected two Grammys, and toured the world countless times. They continue to push the limits of the alternative and metal genres, while remaining a pillar of influence for legions of fans and generations of artists around the globe. 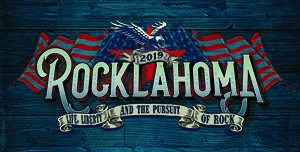 Rocklahoma will take place on Friday, May 24, Saturday, May 25 and Sunday, May 26, 2019 at “Catch The Fever” Festival Grounds in Pryor, Oklahoma, just outside Tulsa. Now in its 13th year, America’s Biggest Memorial Day Weekend Party will feature performances from some of today’s top rock artists, including: Korn, Disturbed, Shinedown, Bush, Seether, In This Moment, Steel Panther, Jackyl, Asking Alexandria, and over 40 others, along with brand new experiences for 2019. A limited number of weekend and single day general admission tickets are still available at https://rocklahoma.com/tickets.html. Military discount tickets are available via GovX. All VIP reserved tickets and VIP packages are SOLD OUT.